Throughout the Bible, the story of God’s people has been a story of the exiled. Those who feel stuck between two worlds, the tension of living in-but-not-of their curr ent home. It’s our story too. This world is not our home and yet God calls us to faithfully live and serve here, while being aware of our home in heaven. 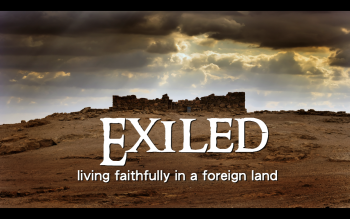 In our new teaching series, we’re drawing wisdom and inspiration from stories in the Bible of leaders who lived faithfully while also living in exile in a foreign land. Check it out, this Sunday at 11 a.m. 4862 Broadway.